Here we go again! Chicago police said this morning that a group of about ten "teens" pushed people into Lake Michigan in the Streeterville area on Thursday evening. No one was injured and no arrests have been made, police said. Some of the victims said the offenders appeared to be in their early 20's. Police announced the incidents in a media alert around 2:30 a. m.
• A man reported four or five teens were pushing people into the lake from the seawall at Ohio Street around 10:35pm. • Another caller said the offenders were pushing people into the water from Ohio Street Beach itself a few minutes later. She described two primary offenders: a Hispanic man in his early 20’s with a buzz cut who wore a blank tank top and shorts; and a black male in his early 20’s who wore a gray shirt with a tire emblem on the front with navy shorts. 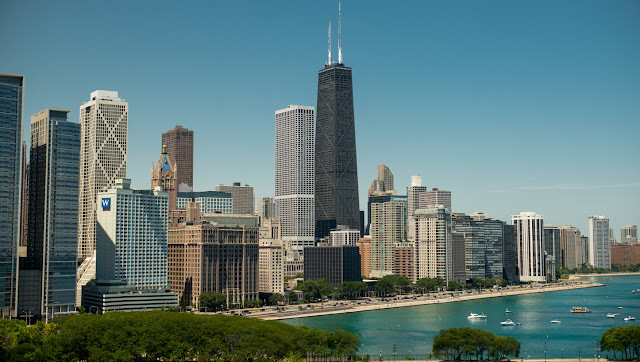 • A bicyclist reported that five teens pulled down a street sign and tried to pull him off of his bike in the 600 block of North Lake Shore Drive. The cyclist continued home after reporting the incident. He said one member of the group was a slim black male who wore a black shirt with black and red pants. • Another man called police from the 400 block of East Ohio and reported that he escaped after two males pushed him into the lake. No description of the offenders was available. • Shortly before 11 p.m., a man reported that ten teens pushed him into the water near Chicago Avenue. When he got out, the group surrounded him before he got away, he said. Last night’s reports come on the heels of widespread fighting and mayhem downtown created by teens over the Memorial Day weekend. On May 8th, another night of teen mob action along the Magnificent Mile was blamed on a failure of police “warning systems” about group misbehavior that is coordinated on social media.